Globally, osteoporosis causes more than 8.9 million fractures a year. That translates to roughly one osteoporotic fracture every three seconds. And get this… your diet could be contributing to your risk of osteoporosis. I’m afraid it’s true. And there are eight common foods in particular which you should be avoiding. (We’ll get to them in just a moment). It’s laden with bone-destroying refined sugars and carbohydrates. Many of these foods carry pro-inflammatory fats and chemicals that stimulate bone removing osteoclasts. It’s also criminally lacking in essential bone-building vitamins and minerals like calcium. High-nutrient foods like leafy greens, vegetables, whole grains, and legumes are absent from much of the Standard American Diet too. 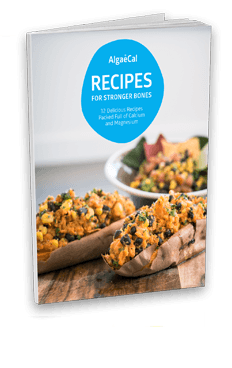 “The SAD eats your bones, in large part by causing chronic inflammation along with metabolic acidosis, an acidic pH in the body that results in calcium being withdrawn from bone to restore a more alkaline state,” she says in an excerpt from her (currently unnamed) new bone health book. Obviously, that’s bad news for your bone density. So with that in mind, we’ve answered the question: what foods are bad for osteoporosis? Cutting out these foods will not only improve your bone density but improve your overall health too. 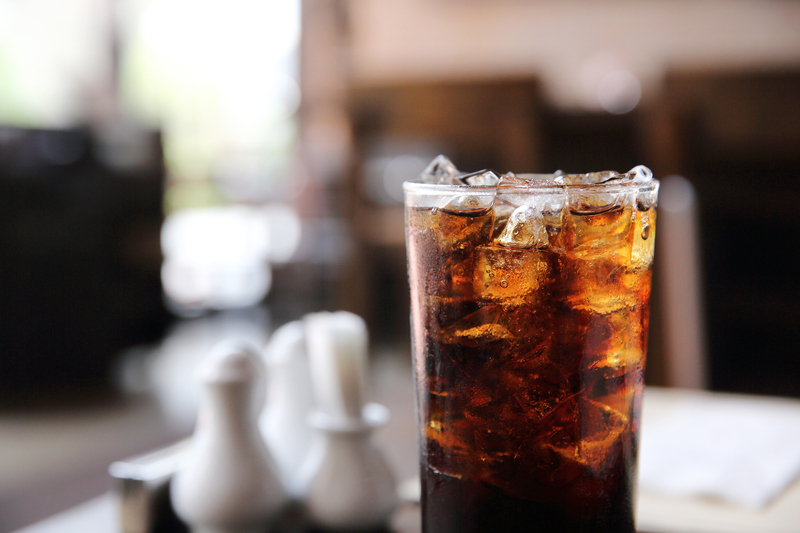 Cola-type sodas have been shown to have a damaging effect on bone density. And phosphoric acid seems to be the culprit. 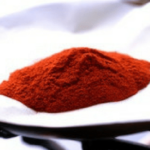 Now, phosphorus is an essential mineral for cell structure and function, but when consumed in excess, it has adverse effects on metabolism and health. And excess sums up the Standard American Diet in a nutshell. Americans consume far more phosphorus on a daily basis than is recommended. In fact, the 2006 Framingham Osteoporosis study found that people who regularly drank cola-based sodas (three or more per day) had as much as 4% lower bone mineral density. And those same phosphorus levels are present in sugar-free sodas. So even if you’re not taking in high quantities of refined sugar, that doesn’t mean your bones are safe. Excess phosphorus pulls calcium from your bones, which is then lost through urine. It’s also really hard on your kidneys to process that much phosphorus. 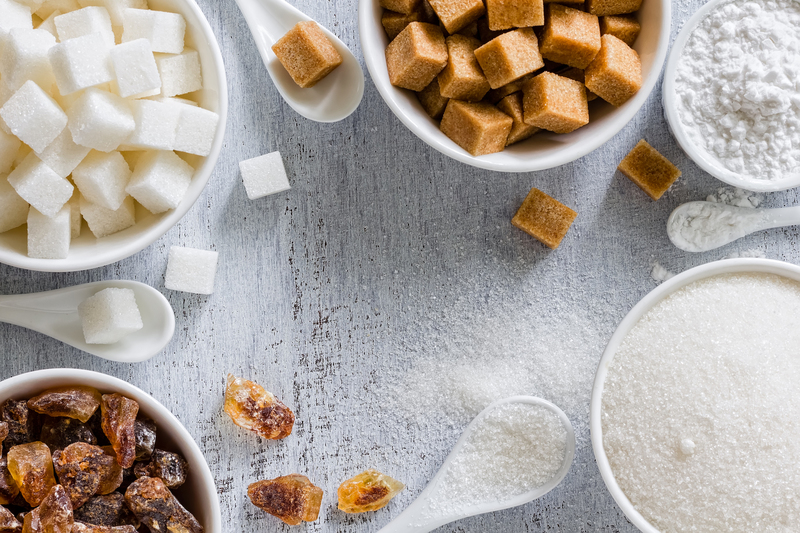 There are many health issues associated with excess sugar consumption. For starters, it elevates blood pressure, depletes vitamins and minerals, contributes to heart and liver damage, and even causes gout. Plus excess sugar consumption increases your levels of triglycerides and LDL- bad cholesterol. This combination leads to fat buildup in artery walls, which increases the risk of heart attack and stroke. The average person gets 25% of their calories from sugar, which greatly contributes to insulin resistance and weight gain. Elevated blood sugar accelerates a process called glycation. Glycation is when glucose attaches to proteins like collagen and elastin, and makes them rigid. These rigid proteins are known as advanced glycation end products (AGEs) and trigger an inflammatory reaction. This causes your skin to age, and as we know, inflammation is also damaging to your bones. AGEs have also been linked to diseases like Alzheimer’s and Parkinson’s. And when it comes to your bones, high blood sugar is proven to increase urinary calcium excretion, just like phosphorus. To cut back on your sugar intake, we recommend getting your sweet fix elsewhere. Try a natural sweetener like Stevia or even raw honey as a way of “weaning” yourself off sugar. The top foods to avoid/limit are cakes, candy, canned soup, juices, biscuits, granola bars, and pasta sauces. They all have a surprising amount of added sugar in them! Replace these with healthier alternatives like tea, seafood, pumpkin seeds, walnuts, lentils, quinoa, almonds and pistachios — all great foods for preventing osteoporosis. Sugar-laden foods like cakes and cookies are typically made from high-glycemic, simple carbohydrates too. Simple carbs are very quickly and easily converted to glucose when they’re digested. Any of those foods — which are all part of the Standard American Diet — will cause a massive insulin spike. In time, regular consumption of excess sugar builds insulin resistance, and ultimately paves the way to type 2 diabetes. There’s a lot of food marketing geared towards flame-grilled food. You’ve seen the ads showcasing food with intentional char marks and crispy blackened edges with customers drool in the background, right? But while it may look picture perfect in a commercial for a steakhouse, those char marks are actually really bad for you. The AGEs we mentioned earlier — the ones that are created when your blood sugar is high — are also present in charred and burnt foods. Your body is able to eliminate AGEs with antioxidants and enzymes, but if the amount in your system is suddenly and dramatically increased, your body can’t keep up. As AGEs accumulate, they trigger inflammation. How can you avoid adding AGEs to your food? 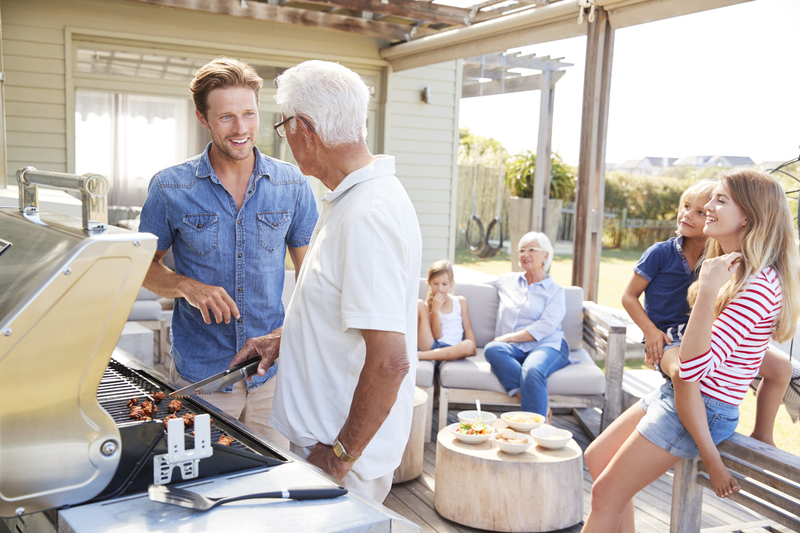 Avoid dry heat cooking methods like grilling, baking, broiling, searing, and toasting. Dry heat cooking can actually increase AGEs in foods by 10 to 100 times as much as uncooked food. Instead, boil, steam, slow cook, or pan fry (medium heat) your foods. Foods that are high in animal fat and protein — red meat, cheese, fried eggs, butter, highly processed foods — are especially high in AGEs and should be avoided in excess. Keep your bones in tip-top shape by keeping your salt intake in check. With pre-packaged and fast foods being a staple in the Standard American Diet, salt intake is higher than ever. And when it comes to your bones, excess salt intake may increase the loss of calcium through urine. Research has found that for each 100 mmol (2,300 mg) increase in salt in your diet, calcium is expelled by 1.4 mmol (32.2 mg). If this loss is assumed to be from the bone, then this equates to about an additional 1% bone loss each year. A good osteoporosis diet is one that is low in salt. For an adult, less than 5g (just under a teaspoon) fulfills your recommended daily salt intake. Top foods to limit and avoid are processed foods, cured meats, sauces, salad dressings, cheese, instant soups, bagels, and frozen dinners. Good replacements for these salty foods are dark leafy greens, plain yogurt, unsalted rice and pasta, dried fruits, mozzarella, eggs, couscous, and fresh fish. 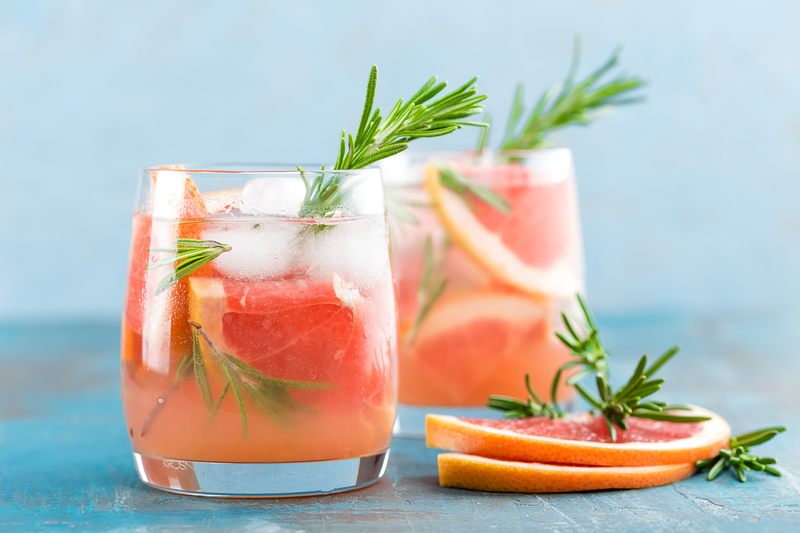 Cut back or eliminate soft drinks and substitute with water, tea, fresh juice, or coconut water. Not all fats are created equal, which is why you’ve likely heard plenty about “healthy fats”. You can get healthy fats, like omega 3 fatty acids, from whole food sources like avocado, fish, dairy, and oils like olive and flax. Not only does fat provide you with an immediate energy boost, but it also allows your body to absorb and transport fat-soluble vitamins, including vitamins A, D, E, and K. And without those, your ability to absorb calcium would decrease dramatically. Then there are unhealthy fats like vegetable oils. Vegetable oils like soy, corn, sunflower, and canola are loaded with polyunsaturated omega 6 essential fatty acids. Omega 6s encourage inflammation, opposed to their anti-inflammatory counterpart, omega 3 fatty acids. The final fats to mention are the worst. Trans fats. These fats significantly increase your likelihood of developing heart problems, insulin sensitivity, and chronic inflammation. Trans fats simultaneously raise harmful LDL cholesterol levels while lowering protective HDL cholesterol, and are also pro-inflammatory. Basically all processed foods contain trans fats. Think chips, cookies, fries, and pastries. 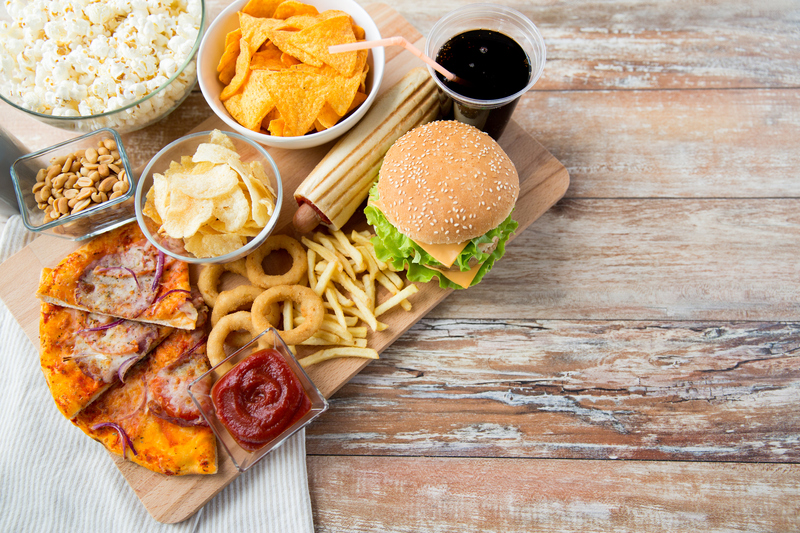 Try to avoid these foods at all costs! Ideally, a healthy diet has 20–35% of calories coming from healthy fat sources. If you don’t have enough healthy fat in your diet, you run the risk of having low energy stores and not being able to properly absorb fat-soluble vitamins. But if you have too much pro-inflammatory fat in your diet, you increase your risk of obesity, heart disease, cancer, diabetes, and osteoporosis. Did you know that over 70% of your immune system is found in your digestive tract? That’s why it’s so important to have a properly functioning digestive system. Food sensitivities like celiac and lactose intolerance are commonplace these days and are largely catered to by food manufacturers. Gluten-free sections are popular in most grocery stores and lactose-free milk and yogurt are readily available as well. But why are some people sensitive to these foods while others aren’t? Well, anyone whose genetic inheritance includes haptoglobin 1-2 or 2-2 (which is more than 90% of us) will react to gluten. 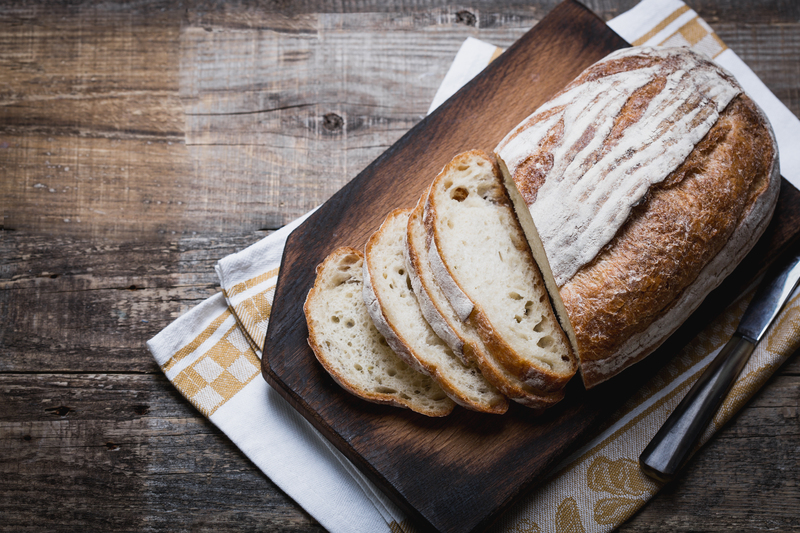 Wheat, barley, rye, spelt, and all the stuff made with these grains contain gluten. Those with an intolerance will experience what’s known as “leaky gut,” or intestinal permeability. This means that toxins and undigested food are able to pass through the intestinal lining, which triggers an immune response. That response is chronic inflammation, which in turn damages your bone health. And lactose intolerance affects around 65% of the world’s population. It’s most common in Finland where one in every 60,000 infants is born with the intolerance, and can affect up to 90% of adults of Asian descent. People of West African, Italian, Greek, or Arab descent are also more likely to suffer from lactose intolerance. On the other hand, northern Europeans are the least likely to develop an intolerance (only 5% of adults do on average) because of their longstanding history of consuming unfermented dairy products. If you struggle from bloating, indigestion, gas, reflux, or other bowel issues, this may be a sign that you are suffering from a food sensitivity. If you experience any of these symptoms, try an elimination diet to discover the cause. Do this by taking out the food you believe may be causing your sensitivity for 3 weeks, then reintroduce it. You can also ask your doctor for a sensitivity test. Chronic and heavy alcohol consumption is not only bad for your bones, but your overall health. However, some alcohol, especially red wine in moderation, can actually be good for you. Research from the University of Oregon shows moderate consumption of red wine on a regular basis benefits your bones. This is especially true for aging women who have experienced menopause. Red wines benefits are believed to be linked to the resveratrol in it, which inhibits bone-resorbing osteoclasts and boosts the formation of bone-building osteoblasts. For beer, its benefits are likely due to its silicon content. So you can still enjoy a glass with dinner! A regular glass of red wine or beer as part of a healthy lifestyle can actually be protective of bone health. And in fact, those who consume no alcohol at all, have higher risk for type 2 diabetes, Alzheimer’s, and all-cause mortality. Moderate alcohol consumption guidelines approve up to one drink per day for women and two drinks per day for men. We’ve talked a lot already about pro-inflammatory foods, but it isn’t just food that can cause chronic inflammation and sudden inflammatory responses. Indeed, the chemicals used in the production of food start contributing to your bone loss long before you ever step foot in a grocery store. Fruits and veggies are good for you, no doubt about it. But there’s a big difference between the produce that looks good and the produce that is good. There are an incredible amount of pesticides used to keep produce beautiful and bug-free. And these pesticides contaminate the vast majority of commercially farmed produce. That’s why we encourage you to purchase organic fruit and vegetables whenever possible. Pesticides have been linked to a range of harmful side effects, from bone loss to reduced fertility and even ADHD. Every year, the Environmental Working Group releases the Shopper’s Guide to Pesticides. 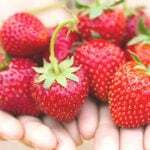 This guide runs through the Clean Fifteen, a list of produce with the least amount of pesticide used, and the Dirty Dozen, which are the 12 worst offending fruit and veg. This makes it easier for you to decide which foods are worth shelling out a little extra to buy organic. The same goes for your supplements — choosing all natural and organic supplements should be your first choice. And there we have it! Those are the eight foods to avoid, limit, and eliminate to keep your bones happy and healthy. The safest strategy is to make sure that you’re consuming foods low in salt, healthy fats, and minimally processed whole grains, fruit, and vegetables. Be sure to always meet your recommended calcium daily intake and use supplements to increase your bone density. And remember to always wash your produce before eating it, especially if you purchased something that isn’t organic. Do you avoid any foods on this list? Let us know in the comments. Want a picture-free version of this list print? Download the 8 Foods to Avoid for Osteoporosis Here. In the daily dose of AlgaeCal you’d be getting 1,600 IU of vitamin D3 — so that’s the perfect amount of vitamin D for you according to your doctors’ recommendation! This means you could take AlgaeCal and discontinue your additional supplementation. I have been taking the recommended dose of AlgaeCal and Strontium for over a year. Two at lunch and dinner and the strontium before bed. It has been creating very loose bowel movements. Is there something upsetting my bacteria balance? Sorry to hear AlgaeCal is not agreeing with you, Jean! Typically loose stools are a sign of mineral imbalance — we’ll reach out shortly to find the best solution for you. In the meantime, please discontinue use. what is the difference between algaecal and algae plus? Great question, Beth! 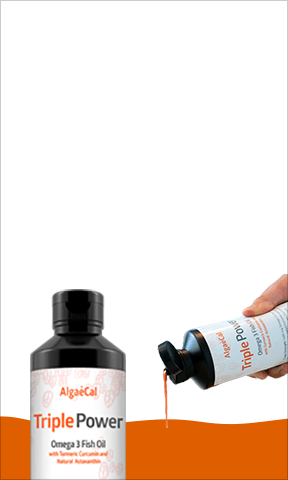 AlgaeCal Plus is our bone-building formulation for people over the age of 18 looking to increase their bone density. It has extra minerals and vitamins that AlgaeCal Basic does not contain. For example, vitamin C, K2, extra magnesium, and boron. As for AlgaeCal Basic, it’s meant for children and teenagers, and is used to maintain a current, healthy bone density. I have been diagnosed with osteroporosis. I am just finishing my first bottle of AlgaeCal Plus along with the Strontim Boost. I feel like I am getting indigestion from them..Kind of a weird taste in my mouth. Is this something others have complained of? I dont want to quit taking them but it seems my stomach is not quite right. Is this too much calcium to be taking? Would taking less capsules still have the positive results? Also I read about Strontium creating false positive results on a Dexa scan.. Can you tell me more about what Strontium really does to your bones? Thank you so much. We’re so sorry to hear you’ve been experiencing indigestion while taking AlgaeCal Plus and Strontium Boost. We guarantee our products and definitely want to make sure you are feeling 100% so one of our Bone Health Consultants will reach out to you via email to answer your questions and find a solution that is right for you! I purchased a two-sided plastic tablet container with 7 days on each side. I labeled on side for Calcium and the other side for the Strontium. I take 3 Calcium per day and 2 Strontium per day. This way I can look in the containers and see if I have taken the required dosages for each day otherwise I wouldn’t be able to remember by looking in the bottles what I had taken because they look so much alike. . Under point 3 of this article you say “Foods that are high in animal fat and protein — red meat, cheese, fried eggs, butter, highly processed foods — are especially high in AGEs” and should be avoided. Then under point 5, you say that dairy is a healthy fat. So is butter good or bad? Apologies for the confusion. To clarify, we should have said that those types of foods should be avoided in excess. While organic red meat, cheese, eggs, and butter are good sources of certain nutrients, they are also high in AGEs so limiting consumption may be a good idea. Grass-fed butter can be a great choice in certain instances, just in moderation! Highly processed foods in general though should be limited or avoided as best as possible. I have two questions. First, I just read that AlgaeCal Plus and Strontium Boost should only be used for seven years. Is that so? Second, I am confused about a schedule for taking these two. I take one Strontium Boost immediately upon rising in the morning with water, drink my instant cocoa then, and two hours later I take 2 AlgeaCal Plus with my little container of yogurt. I take 2 AlgeaCal Plus at dinnertime, and 1 Strontium Boost at bedtime on an empty stomach. Is this schedule okay? Thanks for all the wonderful work you do, and for this wonderful site! So glad you reached out! The seven years referred to is simply the length of our most recently published human clinical study, which can be found here. The AlgaeCal program provided study participants with a measured increase in bone density, year after year, with no negative side effects reported in the blood work of any participant. (We’re very excited to say that this study recently won the Charles A. Ragus Award for Best Original Research Paper in the Journal of the American College of Nutrition, and you can find more information on that here.) You can absolutely continue with AlgaeCal after 7 years! In fact, our 7 year guarantee repeats at this time! Patricia, your schedule sounds great! But to make things easier, you can take both capsules of Strontium Boost at one time and still get the same bone-building benefits. For example, you can take 2 capsules of AlgaeCal Plus with yogurt, followed by 2 capsules of AlgaeCal Plus with dinner, and then 2 capsules of Strontium Boost at bedtime on an empty stomach. 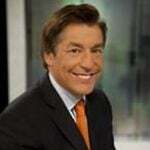 Hi..I was interested to see that you named tea as one of the beverages to drink in replacement of colas. I have always heard not to drink tea because of the caffeine that is in it which turns into flouride in your system which makes it hard for your bones to then absorb any calcium you are taking. Is there any truth to that? Thanks! We have done some digging into the research looking at bone health and caffeine… and it’s good news we promise! You can check out the article here: The Science Behind Caffeine and Osteoporosis. You may also find this article on the Bone Health Benefits of Tea interesting. Gluten may be associated with leaky gut, but I haven’t seen research that says “it causes” leaky gut. Besides, I ask the question, how much and how often. I don’t eat a lot of bread so I enjoy it occasionally. I also keep my eye on body inflammation as measured by the CR Reactive Protein lab test. I just finished reading Lara’s 2013 expanded edition of Your Bones. On page 275 she states that the static poses of yoga cannot build bone. What made her change her mind? Does she still practice Pilates for Osteoporosis. The Osteogenic Loading machine people claim bone cannot be built without OL of 4.2 times body weight. Does yoga do that. They cite research that 10 minutes a week on their expensive machine is all we need to increase BD. Please comment. Thanks. I still don’t get it. I swallow the algae cal capsules with water after eating breakfast. I swallow the strontium pills with water after the evening meal. Does any of this need to change? Strontium Boost should not be taken after a meal as anything that contains calcium (even a small amount, which is in most meals) will reduce its absorption. We recommend you take Strontium Boost on an empty stomach at least 3 hours apart from meals and calcium-containing foods. Most like to take it right before bed. I take a strontium from a different company that includes zinc, copper and boron and have been taking it an hour or two before breakfast rather than before bed, because I take 1000 mg of taurine and 100 Mg of 5-HTP before bed to help with sleep. If I were to take the strontium before bed can I still take the taurine and 5-HTP before bed? Fyi, I am waiting for my first bottle of Algae-Cal Plus to arrive and I have osteoporosis. Great question! You can take strontium any time in the day, as long as there is at least a two hour separation from your AlgaeCal Plus as well as significant sources of calcium in food. We’re so glad to hear you spoke with one of our Bone Health Consultants the other day & worked together to create a schedule that suits your needs. We also double checked, and your package is on its way – you can check the shipping status using the tracking number in your email. Hope this helps Martha, feel free to call us at 1-800-820-0184 or email [email protected] if you have any other questions! I just start taking AlgaeCal Plus (2x per day-2 capsules each time after breakfast and dinner) 2 capsules Strontium Boost right before bed. (3 hours apart after dinner) . But I have been taking them with cold water. By looking the message you have replied that recommended taking with juice or food if have trouble with swallowing, Luckily I don’t have this swallowing issue so far; but should I still switch it to with juice or food for better absorbing? If you are taking AlgaeCal Plus 2x per day with breakfast and dinner, you don’t need to take it with additional juice or food. Strontium Boost should be taken with water on an empty stomach as food does not increase its absorption and needs to be taken apart from calcium-containing foods. I appreciate that the first food listed to avoid is cola beverages because of the phosphates. I had to discontinue drinking them approximately six years ago on the recommendation of my urologist because I was getting way too many kidney stones and have since been diagnosed with hyperparathyroidism. It has greatly reduced the number of kidney stones I have had since I stopped drinking colas and in fact I have stopped drinking sodas altogether. Unfortunately the kidney stones have started to recur since I started using AlgaeCal Plus but I don’t know yet if there is a correlation between the two. Would you happen to have any information on how taking a calcium supplement impacts a person with hyperparathyroidism? Thank you for printing such informative articles, I always appreciate how you back up what you say with research. There is so much misleading and downright dangerous information on the internet about health and nutrition that it’s quite refreshing to read your posts! We do have customers who also have hyperparathyroidism and our Customer Care Team can definitely help you. You can call toll free: 1-800-820-0184 from Monday through Friday: 6am to 4pm (PST) and Saturday & Sunday: 8am to 2pm (PST). Thank you for the feedback on our content. We truly appreciate it! Great advice, Virginia. Also if swallowing AlgaeCal capsules, in particular, they are made out of veggie capsules that you can easily pull apart. You can pour the contents into juices, smoothies etc. Great to hear! Sounds like you are on the right track when it comes to foods to avoid for osteoporosis! Thank you for your April 18 response re Osteopenia. What do you think of my taking just AlgaeCal Plus without Strontium? Would that be sufficient for bone building? What about agave nectar could this be used instead of sugar? Agave nectar is a slightly better option than refined, white sugar, but nutritionally it is similar to high-fructose corn syrup. I’d try raw honey or Stevia as mentioned or even dates and maple syrup. Hello, I was recently diagnosed with Osteopenia and I am post menopausal. Is it safe for me to take AlgaeCal Plus and Strontium with Fish oil and CoQ10(with Bioperine for better absorption)? I also take ALA. Should I take the pills with lukewarm water? I am not on any medication and I do not eat dairy. I exercise daily. Thank you for your attention. Sounds like you are on the right track to reclaiming your bone health! 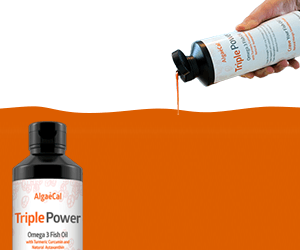 AlgaeCal Plus should be taken 2x per day (2 capsules each time if you are looking to increase bone density, which works out to 4 capsules per day) with a meal. Most like to take it with breakfast and at lunch. You can also include Triple Power Omega 3 Fish Oil during one of these meals as well. Strontium Boost, on the other hand, should be taken separately from calcium containing foods and most take it on its own right before bed. If you are already taking fish oil, you may not need additional CoQ10 with Bioperine and ALA, but that’s something to discuss with your doctor. please email me a pdf of this article too. It is also located at the bottom of the post if you need to re-download in the future. I”d also like a pdf of this article! Thanks. I have been free from sugar since June 2016. I do use Coconut sugar in my herbal tea. I have eliminated the regular stuff you have on this list. As a result I have eliminated some pounds. I tell people to eliminate instead of losing weight. Because when you loose something, you will look for it until you find it. There is no trying. Only doing it and getting it done. I motivate inmates in a Texas Prison in my classes. So doing is the answer. I am patiently waiting until I start this great opportunity to get better bones. 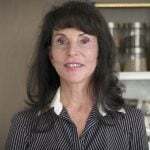 I’m wondering if it would be possible to get any specific information on the brand/type of oscillating platform that Evi Hoffman speaks of in her testimony on the newsletter titled “A New Years resolution for healthier bones.” I think it’s dated Jan 3 or 4, 2017. I’ve started research on this topic myself and unfortunately there is a large selection to choose from, so I’m hoping to narrow it down some! I reached out to Evi and she said she uses something called osflow, which is the oscillating platform she mentions (http://www.osflowusa.com/) and the rebounder is from cellercise.com. Hello, I keep reading that calcium should be taken separately from magnesium, as they compete with each other. I have taken AlgaeCal for years and was wondering if this is really true, since AlgaeCal combines both. Thank you very much. Great question. Calcium and magnesium do naturally compete with each other BUT if taken at the right ratio, actually help each other absorb better. That ratio is 2:1 (calcium to magnesium), which is the ratio in AlgaeCal Plus. About salt, it would be a good idea to precise the name of salts people must avoid. Other studies conclude that a certain salt helps our body to maintain its hydratation. What is very important for us all. I am 73, a breast cancer survivor (3 years) and have been taking letrozole 2.5 mg every day. I am told I will need to be on this estrogen suppressant 10 years. My previous bone scan (May 2015) was normal. Two weeks ago my bone scan showed a 8%drop in hip bone density and a 3% drop in lumbar density. I found your product because I was looking for an natural alternative to rock and ash calcium. I want to nip this in the bud so I ordered your six month supply. I eat a primarily organic healthy diet, gluten free when I can. I walk 5 miles every day. My question is that i have seen no reference to drug induced osteopenia in your material. Is AlgaeCal still effective in such situations? I hope so, it sounds like the perfect supplement. I have a sensitivity toward DAIRY. So should I also discontinue Whey Isolate Protein? Great Question. Whey Isolate Protein goes through a process where the nonprotein components are removed, resulting in very little lactose. So if you suffer from lactose intolerance, you may be able to still drink or eat products that contain whey isolate protein. But, everyone is different. If you feel a reaction or symptoms to your whey isolate protein, discontinue its use. Instead, you could opt for a different type of protein, such as pea protein. I was diagnosed with severe Osteoporosis just over a year ago and changed my diet even more than what I had done years prior. (I have been gluten-free for 6 years, and dairy free for 12 years due to food intolerances) I have been trying to put together some kind of “Osteoporosis Program” for myself without going on the Osteoporosis medication my Dr. suggested I go on. So I was very excited and interested when I read about AlgaeCal Plus. I purchased a bottle of AlgaeCal Plus after reading reviews on Amazon. After taking it until I ran out, I read more reviews and a couple of them had mentioned that AlgaeCal Plus has lead in it. I became concerned and disappointed thinking that I might need to give up on this product and figure something else out. Could you tell me if AlgaeCal Plus has lead in it and if it’s something to be concerned about? I hope this has answered your questions, Heidi! Tengo una duda, según leí en una aparte es de ustedes, no entendí bien esto, que si tomo o tome o me aplicaron. una inyección anual como en mi caso acido zoledronico dos años seguidos el último fue en enero de 2016, el cual no me voy aplicar más. Si tomo algaecal no podría tener efecto. Sino hasta seis meses después de haber dejado de tomar el ácido zoledronico. En mi caso cuando podría empezar a tomar algaecal para que me haga efecto. Not sure if I am 100% clear. Are you wanting to take just AlgaeCal Plus and not Strontium? 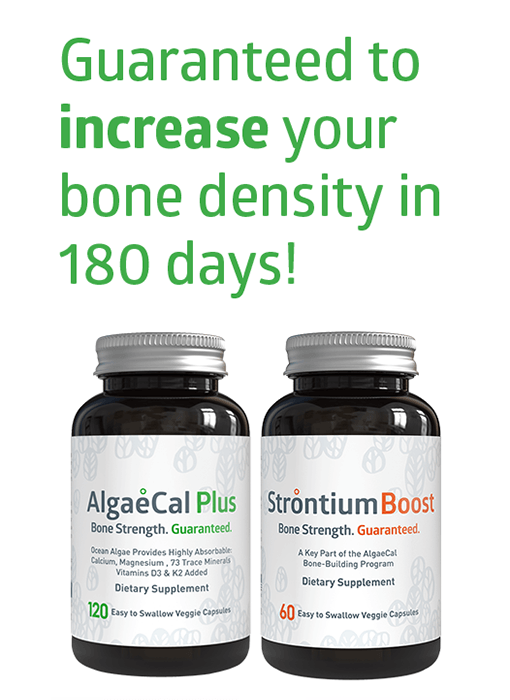 Three weeks ago I started taking AlgaeCal Plus &Strontium Boost to help with my osteoporosis. Since reading some of the earlier posts regarding the use of water and coffee when taking AlgaeCal Plus, I am somewhat confused as to whether I am taking the AlgaeCal correctly. In the morning I take 2 AlgaeCal capsules using LeBleu distilled water to wash them down. Then I enjoy my morning coffee followed by cereal or oatmeal with nuts and fruit about a half hour later. Is this OK? In the evening 2-3 hours after taking the AlgaeCal Plus, I take the Strontium Boost washing it down with LeBleu water. Is this OK? The Strontium Boost can be taken with or without food. What foods are non-calcium containing and OK to eat with the Strontium Boost? Thanks! For your Strontium, the easiest way is to take your Strontium Boost right before bed as it’s difficult and quite a deal of work to figure out which foods do not contain calcium. Strontium Boost with water is fine! I am presently taking New Chapter Bone Strength. It appears to have more supplements. 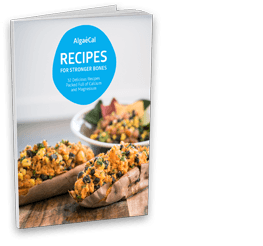 I saw info on Algae – why is Algae Cal better? Great question! AlgaeCal Plus uses USDA certified organic plant-based calcium, New Chapter, on the other hand, uses non-organic calcium. AlgaeCal Plus uses capsules, which can be pulled apart and put into smoothies or juices for those who have a more difficult time swallowing. Also, capsules have been shown to have a higher dissolution rate (breaks down more quickly in the stomach). New Chapter is in tablet form. Finally, AlgaeCal Plus is guaranteed to increase your bone density! And there are human clinical trials to prove it: https://www.algaecal.com/research/. No other calcium supplement on the market can claim this or gives such a guarantee. If you have more questions or would like to speak to someone personally, you can call us at 1-800-820-0184. I just ordered Algaecal plus. Can I still take a one-a-day vitamin along with Algael cal plus? Taking a multivitamin and AlgaeCal Plus can be done, with certain precautions. If your multivitamin contains calcium, iron, or zinc, please take it 2-3 hours away from AlgaeCal Plus. Excess amounts of these minerals can hinder your body’s ability to absorb the supplements. If you have any other questions during your bone health journey, please let us know! I just started taking AlgaeCal Plus about 2 weeks ago.So far it is not causing any abdominal discomfort like other calcium preparations .I have a question drug interactions.Is it okay to take Nattokinase with it! Great to hear you are experiencing no side effects, unlike other calcium supplements. 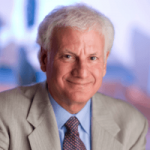 As for nattokinase – that’s a question for your doctor. AlgaeCal Plus has vitamin K2 which can be a mild blood thinner and from the looks of it, nattokinase is also a mild blood thinner. Taking both may not be recommended, but again, please consult with your doctor. I am on blood thinner! Do I need to be careful of these products? If you are on a blood thinner, AlgaeCal Plus may not be for you as it contains vitamin K2. You can still take the remainder of AlgaeCal products and in fact, we have AlgaeCal Basic, which you can take instead of AlgaeCal Plus as it does not contain K2. avoided and for this reason my digestive tract is unable to tolerate AlgaeCal. I would like to know why you have this in your product. You’re welcome – glad you are finding them helpful! AlgaeCal Plus contains silicon dioxide (also known as silica) to help with the encapsulation process. Our capsules would sometimes open up and so this prevents breakage. According to the FDA, Silicon dioxide has been declared GRAS (generally recognized as safe). If you would prefer a product without it, AlgaeCal Basic does not contain it. I’ve recently been diagnosed with severe osteoporosis. I started taking a prescription bone drug, I’m not a big fan but for now I’ll try it. I’m concerned about calcium intake, I’m eating calcium in my diet along with 1, 600 calcium pill. The bone drug boosts up calcium also so how much is too much? Don’t want it going into my blood. 1600 mg of supplemental calcium IS too much. Especially if you are taking it isolated, without its important co-nutrients like magnesium, vitamin D3, and vitamin K2. An average person who consumes dairy products gets 500 – 700 mg of calcium from daily diet, so you would need to supplement 500 – 700 mg of calcium. AlgaeCal Plus provides 720 mg of calcium in a daily dose, plus additional bone healthy minerals. It is more effective at a lower dose and you only need to take 720 mg of plant-calcium to get the same amount in 1200 mg of rock-based calcium. After undergoing radiation for a tumor that is now gone, praise God, I was told that my bones could break so I sent for your AlgaeCal and I can now walk and feel back to normal. Will be getting a dexa scan soon to check on my bones and will report back toyou thefindings. Yes, please keep us updated!! You are right – every article has different RDA of vitamin D. Why? Because everyone is different and you need to get tested to find out what enough is for you. Ask your health specialist for a 25-hydroxy vitamin D test, which is the most accurate way to measure how much vitamin D is in your body. I am 54 have just been diagnosed with osteoporosis I have been on thyroid medication since 2007 and I am three years into menopause. I am looking for a natural alternative from RX meds that my doctor wants me to take. I just stumbled upon this website doing research. I have never ventured outside of the world of standard meds etc. but this all seems pretty convincing that it is worth giving AlgaeCal a try! I also have trouble swallowing pills so it is okay to open the pills and sprinkle on food or in Juice? I would also like this to print this out as well! Does no salt mean added table salt or stay away from all foods with high salt content? 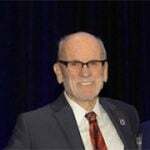 Thanks for posting comments and answers this has been very helpful in my search for an answer to alternative ways to addressing osteoporosis! 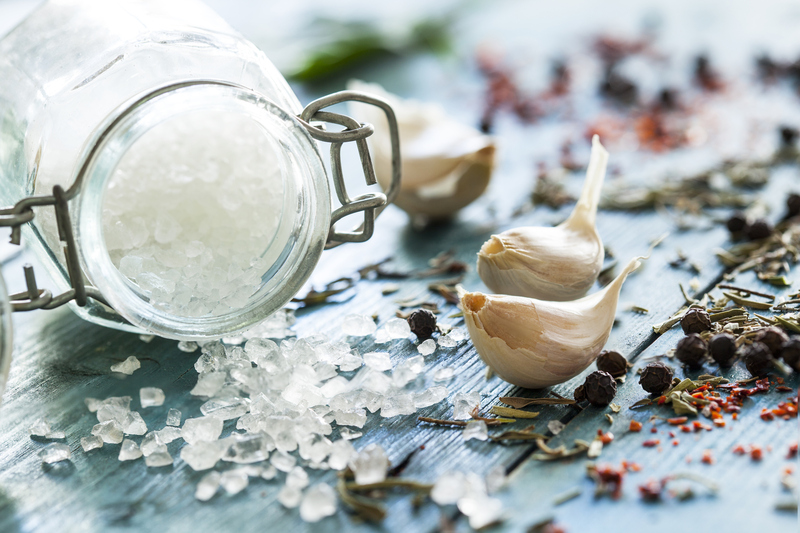 When it comes to salt, we are not saying no salt at all, but a diet that is low in salt. We often don’t realize that certain foods, especially cured meats, salad dressings etc. have a significant amount of salt. Being aware of this should help reduce the amount of salt you eat on a daily basis. It’s all about moderation. Hello, I just started taking Algea Cal products. So happy to see the articles on healthy eating and the reciipes. Thanks so much for the help. Wonderful to hear you are enjoying the articles, Carolyn! Is Celtic Sea Salt and Makai Deep Sea Salt as bad for pulling calcium out of bones as regular table salt? Is that an ok option? I saw in a previous comment, when brakeing up the pill to drink; water or hot liquid is not recommended? So myself, I can swallow the pills but take with water, in the morning, and have a couple cups of coffee. Is this not right? Yes, if you have difficulty swallowing capsules or simply want to sprinkle the AlgaeCal powder in food or drink you can do this. We do not recommend water by itself because AlgaeCal has many naturally occurring minerals and hot liquid because it can destroy the minerals. We recommend taking AlgaeCal Plus with a meal for optimal absorption. Coffee alone is not usually preferred. Let me know if you have further questions, Lisa! Curious, do my own juicing. Lot of what I use has sugar. Mango, apple, berries, lemon, kale, collards, parsley, etal. How much is too much, sugar? Great question. When it comes to juicing, personally I try and make sure that there are more veggies than fruit in my blend. For instance, I’ll add a knob of turmeric, kale, parsley, beets and then an apple for sweetness. This ensures I’m not getting too much sugar in my juice. So…are you saying that AlgaeCal plus is made in an FDA inspected GMP plant, but not regular AlgaeCal? AlgaeCal Plus and AlgaeCal are both inspected at an FDA inspected GMP Plant :). Can you please also send me a pdf file without pictures that I can print? I turned 80 in November 2015. Within the last two years I have had 5 fractures in my spine. The vertebrae are compressed. Of course the doctors wanted me to go on osteoporosis meds which I refused, because of an earlier (16 years ago) experience with Evista. That med almost killed me, as it did my best friend, a relative-in-law, and another friend. That stuff is evil!! This past weekend I went to a memorial service for one of my best friends. I fell and ended up at a hospital in La Grange, TX 21 miles away. When I fell I fell into some wooden chairs, I scraped the skin off my temple and neck, mashed my wrist, fell on my left hip. The ambulance was called and off to the hospital I went. They did a CAT scan of my head and hip. They did X-rays of my spine. About 3 hours later, the doctor came out and said everything looked good, and said he saw where I had the vertebrae fractures. I have been on Algaecal Plus for 6 months and I know if I had not have been, I would have broken my wrist, hip, plus more vertebrae. Praise God for helping me find Algaecal Plus!!! Mary – first off, so glad you are ok after taking such a tumble!! And hope your temple and neck heal up quickly. It’s so wonderful to hear that you did not fracture anything this past weekend. Thank you so much for sharing! Thanks for interesting piece on foods to avoid. I’m a bit confused after reading your ‘foods to avoid’ section that told me to avoid wheat, barley, spelt etc. Then later you say that we should concentrate on fresh fruit, vegetables and whole grains. What exactly do you mean by ‘whole grains’ if we’re meant to be avoiding them? Are quinoa and couscous ok as substitutes? Thanks. Hopefully this can clarify: When we discussed wheat, barley, spelt etc. we were focusing on food sensitivities. If you are sensitive to wheat, dairy…or any type of food it should be avoided. Sensitivities can trigger inflammation in the body and weaken the immune system. If you are not sensitive to whole grains, definitely eat them! I have been taking your calcium product for at least 5 years now and have developed an allergy to iodine, causing blisters on my head. My medical professionals suggest the algae cal comes from the ocean and would naturally contain it (iodine). Algae cal has really helped me and taken my t scores up and I want to continue but every time I stop the product the blisters and itching go away. Can you tell me if it is the strontium or algal cal or both that have the iodine naturally in them? And any suggestions for this problem. Great question. Actually this is a common misconception – that AlgaeCal has a significant amount of iodine because it comes from the ocean. Our most recent lot of AlgaeCal contained 7.33 parts per million of iodine, which translates to a total of 17.5 micrograms in the recommended daily dose of 4 capsules ( 4.4 micrograms per capsule). For comparison sake, AlgaeCal has only slightly more iodine than in dairy products. Eggs, meat, vegetables and most seafood have significantly more iodine. Perhaps there is another food source in your diet that is triggering this reaction that you are not aware? Also, Strontium does not have any iodine – it is strontium citrate only (plus the vegetable cellulose capsule). If you would like to try and stop taking AlgaeCal Plus and Strontium Boost for two weeks and then reintroduce it back into your routine, you can do this. If there is still a reaction, please call in and we can try and get to the bottom of it! Good to know about the salt/bone density connection! I have been taking AlgaeCal for the past year, and now also your fish oil. Along with my healthy bone-friendly diet, I have just started to reduce sodium as much as possible – this because my blood pressure has crept up. It’s nice to know that reducing sodium will be good for both my blood pressure and bone density issues. Extra motivation! Thanks for sharing what you’re doing Carrie – isn’t the fish oil tasty :). You’re right, extra motivation is always a good thing! I would like a PDF file, so I can print it too! What about Himalayan salt (the pink one)? The right brand is not supposed to raise blood pressure and is loaded with minerals. Great question. I use Pink Himalayan Salt myself – it is loaded with minerals and is a great alternative to regular, refined table salt. Mostly, we want people to try and cut back on their salt intake when it comes to foods they don’t realize might have a lot. Such as dressings (this is surprising!) and sauces, cured meats etc. Having this knowledge and awareness will hopefully help! What about Himalayan salt? It isn’t supposed to raise blood pressure and is loaded with minerals. It’s all we use. How much does coffee play a part in osteoporosis? My husband has been taking the algaecal plus along with the strontium and he seems to be getting worse. However, he drinks 8-10 cups of coffee a day. I have told him that the acid in coffee is probably counteracting the calcium he has been taking. Comments? Thank you, I was having some doubts..
What about coconut sugar and coconut nectar? Coconut sugar comes in at a Glycemic Index (GI) of 35 compared to table sugar at 60. This means it doesn’t spike your blood sugar levels as much as table sugar does. (The lower the score the better). It also contain some nutrients like iron, zinc and calcium, while regular table sugar does not. While coconut sugar is a great option for an added sugar – added sugars in excess of any kind is not recommended. It is definitely healthier than refined sugar, but still worse than no sugar at all. My only problem with AlgaeCal is I have trouble swallowing pills and they are so large and you have to take so many. If you have trouble swallowing the pills, you can actually pull them apart and sprinkle them into your juice, smoothies or food if you like. We just don’t recommend water because of the naturally occurring minerals or any hot liquids. That might be a better option! No problem. I will go ahead and send you a PDF of this article without the photos to your email. Be in touch shortly. AlgaeCal comes from a rare marine algae called algas calcareas and is a macro red algae, not brown algae. It the only USDA certified organic calcium on the planet, which means the harvest area and surrounds are inspected regularly for possible pollutants. Also, each lot of AlgaeCal is tested for heavy metal contamination, bacterial infection, and more. AlgaeCal Plus is made in an FDA inspected GMP plant where very high standards are maintained.